It’s been a good while since I’ve done a Crest Dissected but after a bit of a summer break and time at the BBC (Cardiff and Swansea pieces) it’s time to get back down to TFHB writing! So following FC Barcelona, PSG, AS Monaco and US Women’s Soccer this week I’m going to take a look at AS Roma and their intriguing history. In the summer of 1927 an Italian Fascist, Italo Foschi, was behind the merger of three older Italian Football Championships clubs all based in Rome, Alba-Audace, Roman and Fortitudo. The purpose of the move was to compete with the well established clubs, especially in the Northern cities but Lazio were not behind the move meaning the Derby della Capitale rivalry was there from the beginning and Associazone Sportiva Roma was born. AS Roma immediately endeared themselves to the masses by taking on the capital’s colours, red and yellow, something Lazio did not consider as they favoured the greek myth of Olimpia and the colour blue. The crest of AS Roma itself is notable for the wolf adorning it, this symbolises the foundation myth of the city of Rome, Romulus and Remus. The legend goes that the twins mother, Rhea was forced to abandon her children when her uncle, Amulius seized power of Alba-Longa. 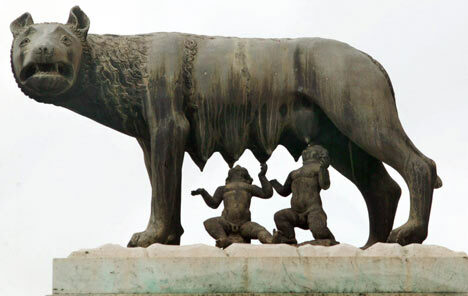 The babies, who were part gods, were thrown into the RIver Tiber but were carried to safety and raised by a she-wolf who brings them up and feeds them. This wolf is the wolf seen on the crest of AS Roma but it is not the end of the story. Romulus and Remus, with the help of a shepherd and his wife, grow up to and finally realise their true origins going on to kill Amulius and restore their grandfather Numitor, to the throne of Alba-Longa. Romulus and Remus wish to found their own city but disagree as to the site so get a priest (or augury) to decide, they continue to quarrel and fight with Remus being killed. Romulus, the victor, founds his City among Palatine Hill and names it Rome (Roma). Take a trip to the Italian capital and you’ll be sure to see this myth all over the city, something the new football club wished encompass. Anyway, back to the football and a minor success came quickly as in 1928 AS Roma secured the CONI cup. By November 1929 AS Roma opened its 20,000 capacity stadium, Campo Testaccio before competing in its first Derby della Capitale away in December 1929 where they beat Lazio 1-0 thanks to an early club legend, Rodolfo Volk. 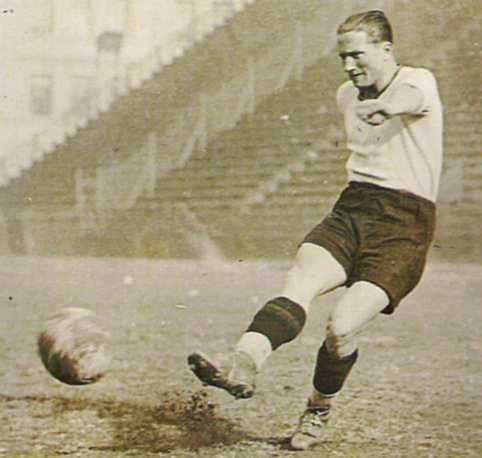 Roma continued to make an impact and in the 1930-31 season they pushed Juventus to the end finishing runners up with local boy, club captain and World Cup winner to be; Attilio Ferrari vital. Roma’s first Scudetto was hard to come by, they came close in 1935/36 missing out to Bologna by a point but in 1941/42, under the management of Austro-Hungarian Alfred Schaffer and thanks to 18 goals by Amedeo Amadei the title was theirs. Amadei, a product of the Roma’s academy who returned to the club a year after leaving, scored 115 goals in his second spell and his 18 that season, coupled with the classic Italian mentality of “defence is everything” brought home the glory for i Lupi. This title is one marked by the Second World War which was raging at the time but unlike the UK football continued and the Fascist leaning club played their home games at Stadio Nazionale del PNF which was the national stadium of the Fascist party, sharing with rivals SS Lazio. In the years following the Second World War, AS Roma, like the rest of Italy, was ravaged by the war and left penniless this cumulated in their one and only relegation to Serie B after the 1950/51 season, they bounced straight back under Gipo Viani but the decline stuck and nothing of note adorns the Roma record book in this period as they became a steady mid-table club. For Giallorossi their next tournament success came in 1960/61 when they beat Birmingham in the Inter-Cities Fairs Cup 4-2 over the 2 legged final. By this point Roma had moved into their current home, the Stadio Olimpico, which hosted the 1960 Summer Olympics. The 1960s were mixed, it saw 2 Coppa Italia wins, their first in 1963/64 over Torino 1-0 and their second in 1968/69 but also tragically the death of Giuliano Taccola in 1969 who collapsed in the dressing room and died of heart failure. The decade was also marred by financial difficulties as fans held fundraisers to keep the club operating. The 1970s saw an Angelo-Italian Cup and another Coppa Italia, the latter under the guidance of Nils Liedholm (member of Milan’s legendary Gre-No-Li trio) who focused on youth and inspired the building of the Fulvio Bernrdini di Trigoria training complex, still used today. Liedholm’s Roma once more challenged for the league with players like Bruno Conti, Carlo Ancelotti and Agostino Di Bartolomei leading the way. Roma’s first Scudetto in 41 years came in 1982/83 after a sterling season followed by another Coppa Italia the following year. Unfortunately the joy was not replicated in the European Cup as they finished runners up on penalties to Liverpool the same year. Sven-Goran Eriksson added to the Coppa Italia record in 1986 but that would be that for the decade. The rivalry with Juventus grew further in the 1980s as Bianconeri dominated Serie A while Roma enjoyed the Coppa Italia. Onto the 1990s and they were nothing special for i Lupi, a 7th Coppa Italia was delivered but a loss in the 1991 UEFA Cup to Inter and a highest finish of 4th made it a decade to forget following the previous one. Fast forward to the new millennium and money was flowing into the club, Gabriel Batistuta was the marquee transfer for 70 billion lire and notched 20 goals in a record points breaking season and a third Roma Scudetto. Local boy and one club man Francesco Totti was vital along with other new signings Hidetoshi Nakata, Walter Samuel and Emerson. The following season saw Roma finish runners up to long standing rivals Juventus despite the additions of Cafu, Vincenzo Montella and Antonio Cassano. Roma were unlucky in the league and cup a few more times as financial difficulties reared their head. Batistuta left on loan to Inter, Cafu was released and the signing of Christian Chivu was completed after a series of monetary guarantees were given. By the mid 2000s Roma were seriously struggling both on and off the pitch and faced an enforced transfer ban for a short period. Luciano Spalletti was hired to turn things around, he did so on a shoe string budget managing to guide the club to 5th using a variety of cheap and young players. When the Calciopoli match fixing scandal broke Roma were not involved and this gave them another chance to grow once the punishments had been dished out to other clubs. A quarter final run in the 2006/07 Champions League was one highlight as was another 2nd place Serie A finish but the decade would finish with hot prospects and talents being sold for cash with replacements being aging or players of previously unfulfilled potential. The past 3 years have seen slight improvements with Nicolas Burdisso joining the club and financial stability coming when the Sensi family sold the club on in 2011. Flop Julio Baptista and Cicinho left the team and after a number of short term managers Frenchman Rudi Garcia was chosen in June 2013 to lead the club forward. This season, Diego Milito of Inter consider Roma one of 3 clubs in the running for the Scudetto (along with Napoli and Juventus). 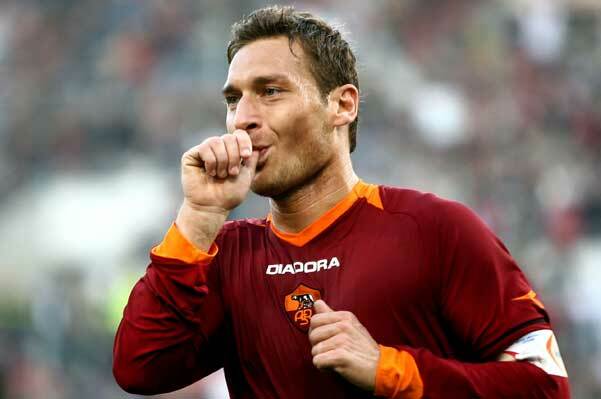 Roma have recently added Gervinho, Mattia Destro, Kevin Strootman and Adam Ljajic to name but a few and look no further to find a living legend than the club captain who just won’t quit Francesco Totti (club and Serie A goalscoring record holder). It’s not been an easy past for i Lupi but one thing is for certain, things are beginning to bright for the Eternal City! LOL... Berthold... Aldair... Kohler... Zavarov, Sosa, Balbo? Is this a joke? Zavarov was godawful at Juventus, the other ones were average or above average players at best. They probably couldn't even make it in the best 11 of any year they played in, let alone of all time.